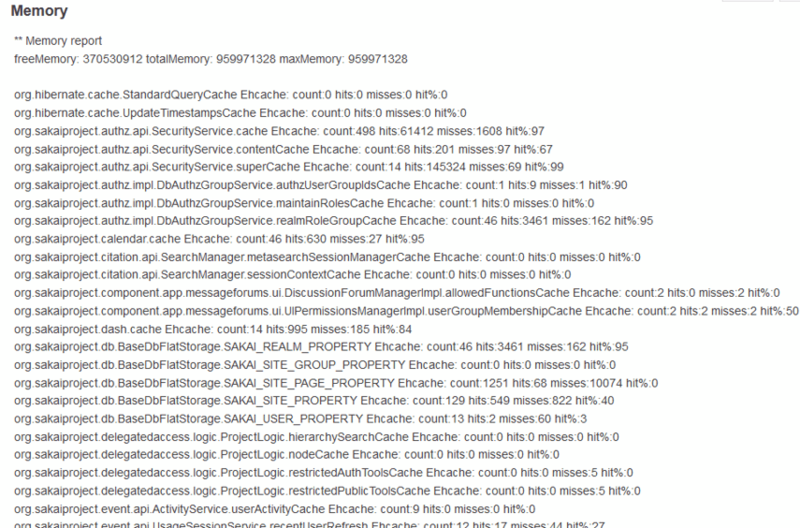 Sakai Community DocumentationSakai 11 - EnglishSakai 11 Administrator Guide MemoryHow do I locate maxed out caches? A maxed-out cache will have a count value of 10000 or 100000. Look for these values in the Status area of the Memory tool. Look for a count value of 10000 or 100000. Zoom: Look for a count value of 10000 or 100000. Prev: How do I view Memory Status? Next: How do I reset all caches?